Above is a picture of the Shue Staff on a past Shue Spirit Friday! In case you did not know, students may where a school team, club or Shue spirit shirt every Friday! We wanted to let parents know that there are still open slots for the 4H afterschool program. If you are interested please call Mr. Ray at 302-383-3082 for further information or stop in the main office and grab a 4H application. The cost is $50 nonrefundable fee and we provide homework help, enrichment opportunities and healthy snacks. The program operates from Monday - Thursday. Several Caribbean islands were devastated by two category five hurricanes ( Irma & Maria). NJHS is participating in the relief efforts by collecting toiletries to be shipped to the residents. Items will be collected in homerooms. The drive is extended until October 13, 2017. THANKS FOR YOUR SUPPORT. 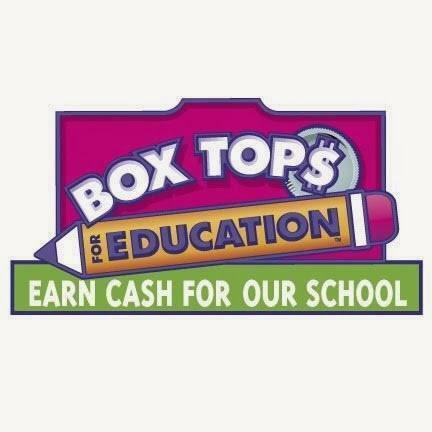 THIS IS THE LAST WEEK TO TURN IN BOXTOPS. Please turn in box tops in by Friday 13th !! Put them in a sealed baggie or envelope to get credit they must have teachers name or room number on it. We are keeping a list of all homerooms. FREE dress down day to top classrooms. The girls soccer team is doing a "dine and donate" fundraiser at Capriotti's in Newark on October 18th. If people mention that they are there for Shue Soccer, 20% of what they purchase in person or on the telephone will go to our team all day. I've attached a flyer for this event. We are continuing our Friends For All program at Shue-Medill Middle School! The goal of FFA is to create and support friendships between students with and without disabilities. We will be holding group meetings twice a month during the school day, alternating between Enrichment and Block 1/2 classes for about 45 minutes. At group meetings, buddies and their peers play games, crafts, puzzles, and do other fun activities together. In addition, peer buddies are encouraged to have lunch with their buddies at least twice a month. If your student is interested in being placed with a buddy, and willing to make the above commitment, please complete the application attached, and return to room 148, or Ms. Diane in the Main Office. This past Saturday a team of 30 people from Shue participated in the Main Street Mile! We'd like to say a huge thank you to Ms. Denise Patridge for starting our team and to Ms. Rosie Miller for advertising the event on our PTA page! It was lot of fun and next year we are planning to have the biggest school team there! Here our some pictures from the awesome event! Picture Makeup Day is scheduled for Monday, November 6th. We will also sponsor a Lifetouch Fundraiser with the grade level photos. More information will be coming your way soon! On Friday, November 3rd. March in with the high school band! Sit and play in the stands! Watch the band perform their amazing half-time show! Find out what it is like to be a part of a fun and spirited high school marching band. Come out and help root on Newark’s football team as they take on Delaware Military Academy. 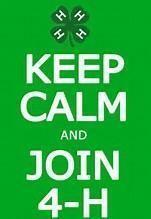 Be at the NHS band room at 5:30 PM. Wear black and gold if possible and remember to dress for the weather. Bring money if you want to purchase concessions. Bring a guardian. This is their chance to ask questions and to sit with the high school band parents and enjoy the show. Be prepared to have a lot of fun! Students in Ms. Christy and Ms. McBride's science classes participated in a contest to design the pathway and outdoor classroom space in our Meadow. Our winner was Eterniti Griffith!!! We will set a date for the mowing of the path and will also have an afternoon celebration to follow the event! More information will be coming shortly!! !Below is a picture of Eterniti's design. Одна и та же картинка смотрела на него со всех двенадцати мониторов наподобие какого-то извращенного балета. Вцепившись руками в спинку стула, Бринкерхофф в ужасе смотрел на экраны. - Чед? - услышал он голос у себя за спиной. Обернувшись, Бринкерхофф начал всматриваться в темноту. Мидж как ни чем не бывало стояла в приемной возле двойной двери директорского кабинета и протягивала к нему руку ладонью вверх.